School is in session and lights shine brightly at A.N. Pritzker School, the neighborhood elementary school for most East Village homes north of Augusta Boulevard. Lighting, heating and air conditioning were updated over the summer at 2009 W. Schiller St. Principal Joeniele S. Albert-Reese will give an update on school progress at the Sept. 12 East Village Association meeting at Happy Village, 1059 N. Wolcott. On state-mandated ISAT tests, 80.4% of students met standards, better than 46% of all schools in a Chicago Tribune analysis. Class sizes last year were smaller than the city average for upper grades and larger in lower grades; 625 pupils were enrolled. Pritzker is known for its gifted and fine-arts programs. The former Wicker Park school was renamed a quarter-century ago for its benefactor graduate, an owner of the Hyatt hotel chain. 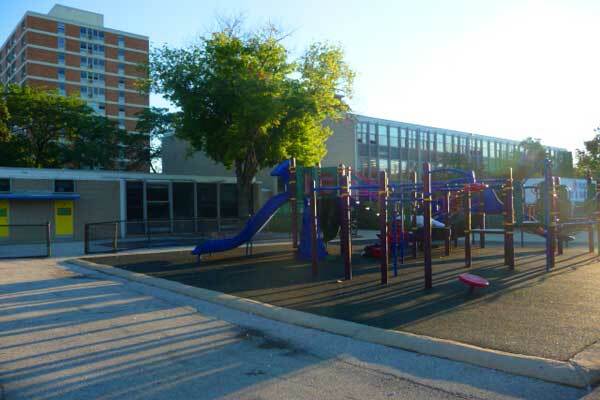 Pritzker, Peabody, Otis and Columbus schools serve East Village along with LaSalle II Magnet School, which this year took over the rest of the former Andersen Community Academy. The EVA meeting begins at 7 p.m. with a short presentation on Prasino restaurant, newly opened at 1846 W. Division St.